This insightful adventure tackles tough social topics, but isn't appropriate for most kids. It's a shame that Detroit: Become Human, the latest game from French writer and designer David Cage, isn't more family friendly. It tackles some serious topics from civil rights to domestic violence, using a science fiction allegory to make it intriguing and entertaining. But the game's coarse language, violence, and adult topics make it inappropriate for all but the oldest teens, and even then, you'll get a lot of snickers from some of the language and situations. The near-future story, available only for the PlayStation 4, concerns human-like androids and questions about whether they have free will and true consciousness, and if they deserve "human" rights. The civil rights parallels are presented overtly very early in the game, when you see androids forced to ride in a special compartment in the back of a bus. The game is slow-paced with excellent dialog and voice acting (including character actors like Lance Henriksen (Aliens) and Clancy Brown (The Shawshank Redemption)), but there's infrequent swearing (including several f-bombs), and many references to sexbots and android bordellos. 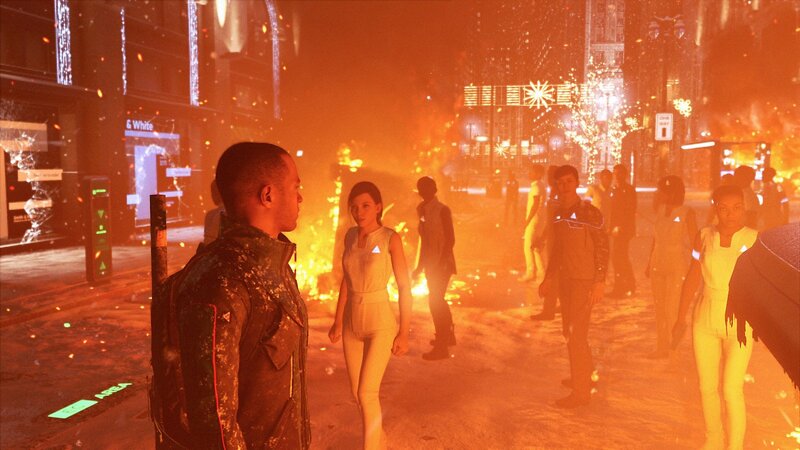 Some of the violence, against both humans and androids, can get pretty disturbing as well. None of this should be a surprise to anyone familiar with Cage's other critically hailed games, like Heavy Rain and Beyond: Two Souls. He experiments freely with storytelling and game mechanics, but usually in a PG-13-to-R-rated way. 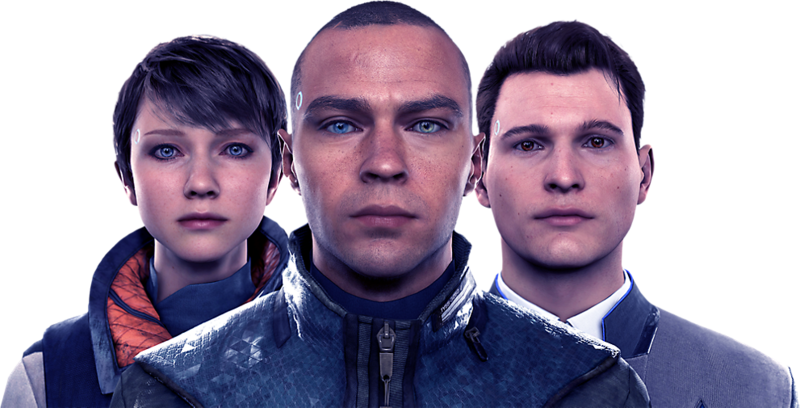 Despite its worthy subject matter, Detroit: Become Human is rated M for Mature, and deservedly so. Harmon Daniels has covered games and technology for publications including Maxim and Men's Journal.